Every leader, without exception, should be investing a minimum of 4 hours weekly working ON the organization rather than IN the organization. If your organization is going to move forward, you must spend time away from people, working on the direction of the organization. There is no such thing as a good leader that does not spend focused time working ON the organization. Your four hours may include strategic planning, implementation of a strategic plan, researching, working on where you need to go next, setting goals, writing content, crafting communication, etc. If you are an organizational leader, work on the future of your organization and where you want the organization to go. Explore new opportunities. Write a plan for the next 12 months. Find solutions to the problems you are facing. If you are a church leader, work ON the Church rather than only IN the church. The enemy of this kind of time is the URGENT. There will always be things to react to, respond to, and meetings with people. Most of us have more work than we can ever finish. But don’t allow the URGENT to dominate the IMPORTANT. Your weekly 4-hour vision time must be fiercely protected. Use this time to think, to create, to write, and to plan. 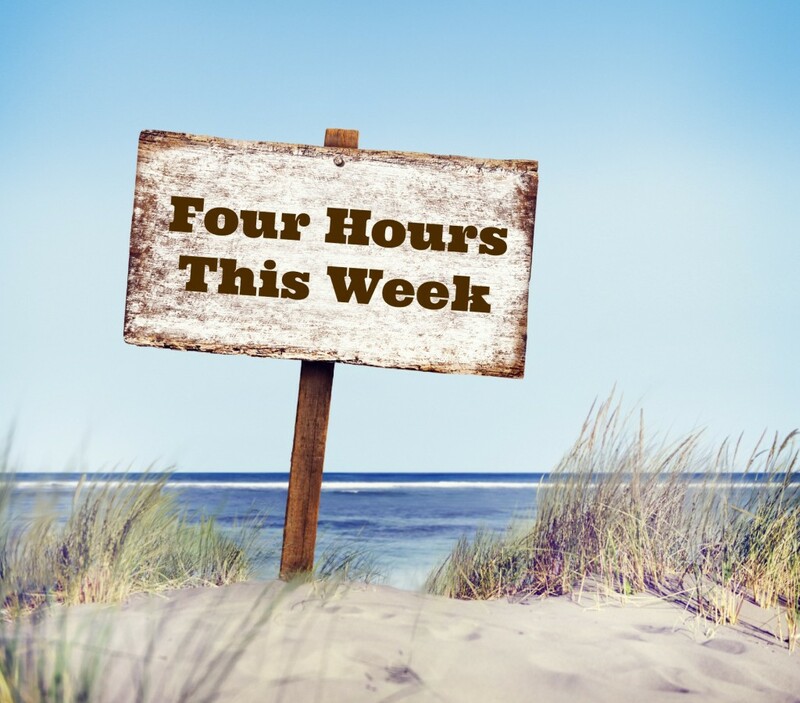 Schedule a four-hour block of time this week and every week. Put it in the calendar. And don’t compromise it.